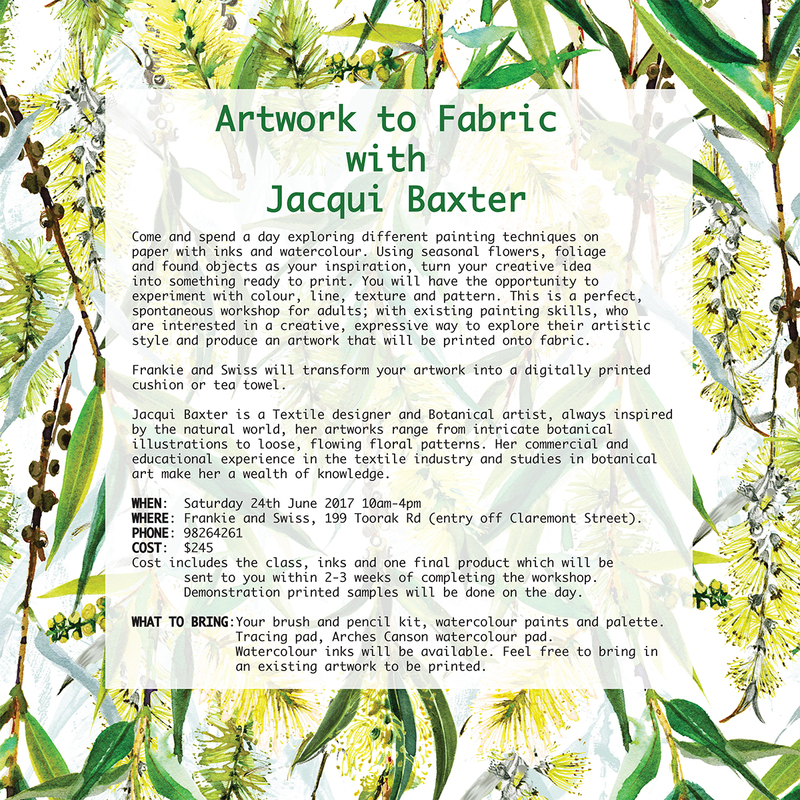 We're hosting Jacqui Baxter's beautiful workshop 'Artwork to Fabric' Saturday 24th of June. 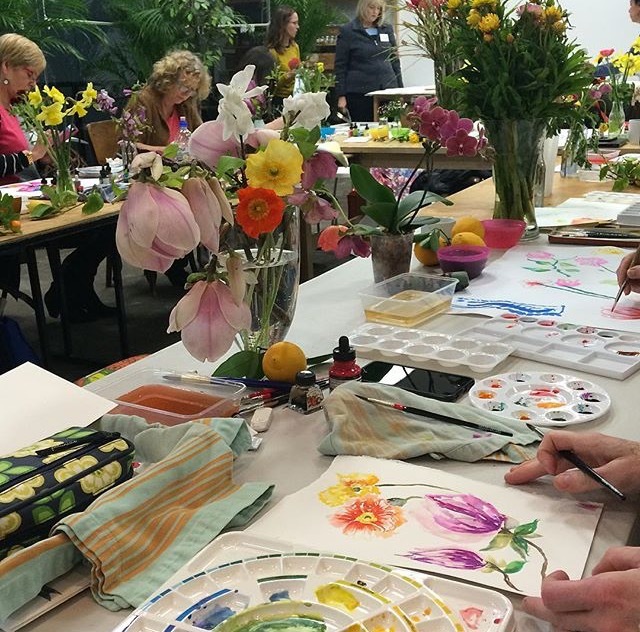 Be surrounded by flowers and foliage in our (beautifully heated) studio and learn watercolour and ink techniques from the best. We'll then transform your artwork into a tea towel or cushion! The results! Beautiful illustrations printed onto Belgian Cotton/Linen and sewn up here in the studio.